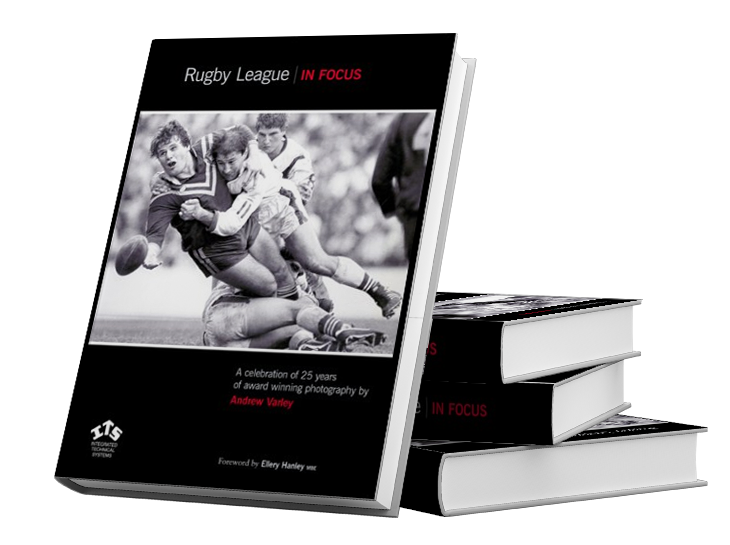 David Howes has acted as co-editor of a landmark publication to celebrate the 25th anniversary of Rugby League photography by award-winning Andrew Varley. Howes Etc are handling the publicity campaign for the launch of the prestigious 148-page coffee table style publication. The Silver Jubilee album features over 400 photographs including playing legends such as Martin Offiah, Garry Schofield, Wally Lewis and Peter Sterling, and coaching gurus Malcolm Reilly, Alex Murphy and John Monie. There is a special foreword from rugby legend Ellery Hanley MBE. Available from Howes Etc, with cheques made payable to “Howes Etc”.